ODD: Intel Developers to use Second Life? In my reading I came across this article on the Intel Developer site: Unity Tip: Using Second Life As A 3D Modeling Package. Even more interesting is they promote the Firestorm Viewer as the viewer of choice. Their reason for recommending Firestorm is the Collada export feature found in Firestorm. The article provides a tutorial on how to export 3D items from Second Life™ using the Firestorm viewer. Posted in Firestorm, General Computer Stuff, Interview, Second Life, Viewers. Tagged News Articles on SL. Bloomberg Business talked about Virtual Reality (VR) a few days ago. In the show was a few minutes with Ebbe Altberg, Linden Lab CEO. The discussion of VR starts about 10:30m in. My take away is that gaming adoption of VR is going to be slow. Mostly because of cost. Other uses of VR are likely to lead the adoption race. Medical and military use seem to be the leading fields for VR adoption. In other news, the Oculus Rift is already behind the tech curve. Seems Sony is adding features to their Playstation implementation of the headset that Oculus don’t yet support. Wouldn’t that be an upset? Also, Unreal has added in world modeling. You can build your game/world inside the world. Very Second-Life-ish. So, does that put them ahead of Linden Lab? I doubt it. I still give the edge to the Lab based on their experience with virtual worlds and economies. Posted in General Computer Stuff, Interview. Tagged Ebbe Altberg. Linden Lab’s CEO Ebbe Altberg spoke at VWBPE 2016, Virtual Worlds Best Practices in Education. There are some interesting points made in the speech. Some are changes and others are just making it more clear what the Lab is planning with Project Sansar®. For about 12 minutes Ebbe was talking about Second Life™ and Project Sansar. Then the question and Answer part starts. The moderators were doing an excellent job of focusing questions. That got lots of ground covered. I’ve done my summary style index. Paraphrasing. And I’ve added links into the video for those things I think have impact. Posted in Interview, SANSAR, Second Life. Tagged Ebbe Altberg, SANSAR, SL 2.0. Daniel Voyager has an article up pointing to an interview by Ryan Matthew Pierson with Ebbe Altberg, Linden CEO, and Peter Gray, Linden marketing. 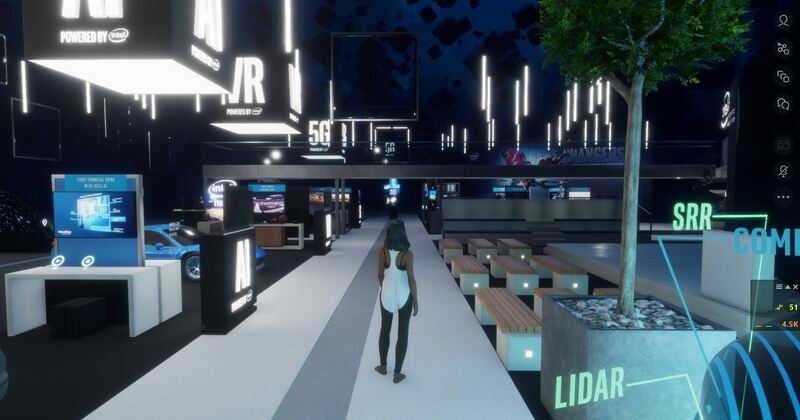 See: Linden Lab’s Project Sansar and the Future of Virtual Reality. The article is about what is required for Virtual Reality (VR) to go mainstream. The TL:DR is that Second Life did not catch on because the rewards of Second Life didn’t cover the cost of the learning curve, in people’s perception. The article puts that much more convincing worlds. Ryan covers how Sansar will be different and that it targets the ‘developer/game maker’ rather than the user. But, he never answers the question implied by the first half of the article. So, interesting, but no great insights. Posted in Interview. Tagged Ebbe Altberg, SANSAR. One of the better people in Second Life™ is Torley Linden. When I first started playing in Second Life I soon found Torley How-To videos. His personality comes through as fun and joyful. I can’t imagine a better spokesperson for Second Life and Linden Lab. Now Exolymph has an interview with Torley. Check it out: Technological Abundance: Interview With Multimedia Artist Torley. Posted in Interview, Second Life. Tagged Torley. Second Life & Sansar: What did we learn? A Lab Chat meeting with Ebbe Altberg, Linden Lab CEO, was yesterdays (1/21) big event. We learned new things about Second Life™ and Project Sansar. We are starting to see reaction from a few to the new information. Posted in Interview, SANSAR, Second Life. Tagged Bento, Ebbe Altberg, Lab Chat, SANSAR.